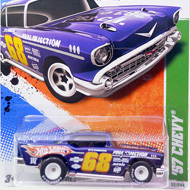 1/15 from the 2011 Super Treasure Hunt series. 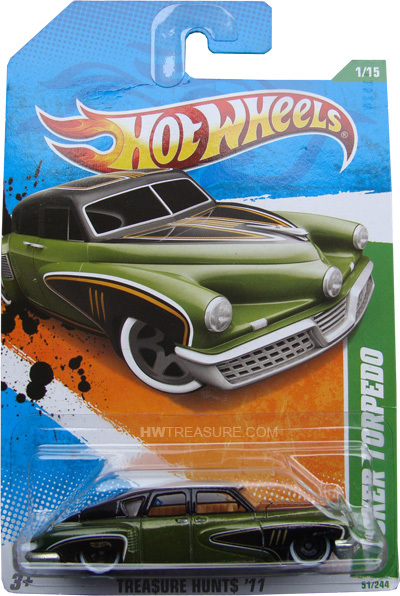 The Torpedo boasts olive green Spectraflame paint with black, white, and gold graphics on the sides and top, as well as a gold Hot Wheels logo on the sides. It has clear windows, a tan interior, black Real Rider wheels, white line tires, and an unpainted metal Malaysia base.